The Most Fun You Can Have! With several different tours, we will certainly have a tour for you. Our experienced tour guides, not only have great knowledge and abilities, they also are entertaining and friendly. Perfect for families that want to experience the Rocky Mountain National Park, natural waterfalls, and the local wildlife. Our tours include a 7 day pass to the National Park! No Hidden Fees! Some of the tours we offer: *Rocky Mountain Experience: Our premiere tour begins by entering Rocky Mountain National Park at the Fall River entrance station. During the course of the tour we will navigate 12 miles of switchbacks on a dirt road starting at an elevation of 7800ft and arriving at a peak elevation of 12090ft. 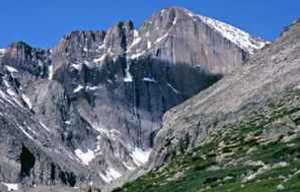 *Grand Lake: This tour is a combination of The Falls with continuation to Grand Lake, Colorado. After arriving at the Alpine visitor center, we’ll head west to Grand Lake Colorado. *Rustic Ranch: Visit an authentic ranch dating back to the 1800’s. With more than 1000 acres, this secluded ranch is a must-see opportunity of a life time. 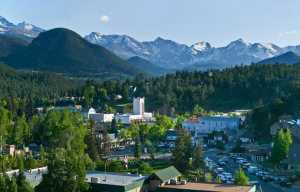 The tour departs Estes Park on HWY 7 with a stop in the Tahosa Valley at the base of Mt. Lady Washington, Long’s Peak and Meeker, as well as, the Enos Mills Cabin. From there we continue to Meeker Park. *Photo Safari:This specialty tour is geared specifically towards photography. Our trained guides will take you where the action is! Professionals and amateurs alike will appreciate the many photo ops along the way!